I’ve made this soup recipe several times. Everyone always loves it and some folks have even said that it tastes even better than Panera’s version. Saute onion in butter. Set aside. Whisk butter and flour over medium heat for 3-5 minutes. Stir constantly and slowly add half and half. Add chicken stock, still whisking. Add broccoli, carrots and onion. Cook over low heat until veggies are tender – about 20-25 minutes. Add salt and pepper. The soup will have thickened by now. Carefully transfer soup mixture to blender and puree. Return soup to pot (or crockpot) over low heat. Add cheese. Stir until well blended. Add nutmeg right before serving. .-= Renee´s last blog ..In the belly of the whale =-. I love Broccoli soup and so does my daughter.Thank you. Oh my gravy that looks so warm and inviting and delicious! .-= Deanna´s last blog ..TMTT: Deviled Eggs =-. .-= Angela @ Homegrown Mom´s last blog ..She Speaks =-. @Angela @ Homegrown Mom, Let me know how you like it! What diet are you on? Too bad I already did my menu plan for this week. I may have to make a substitution! Sounds delish and sounds like something my hubby will enjoy. .-= Kim @ Staying Home´s last blog ..Menu Plan Monday =-. I love Panera! I can’t wait to try this. Thanks for sharing! Bookmarking this! It looks better than the Broccoli Soup that I tried out awhile back! Thanks for sharing. This sounds like a really flavorful soup. I love broccoli cheddar soup, I’ll have to give it a try. 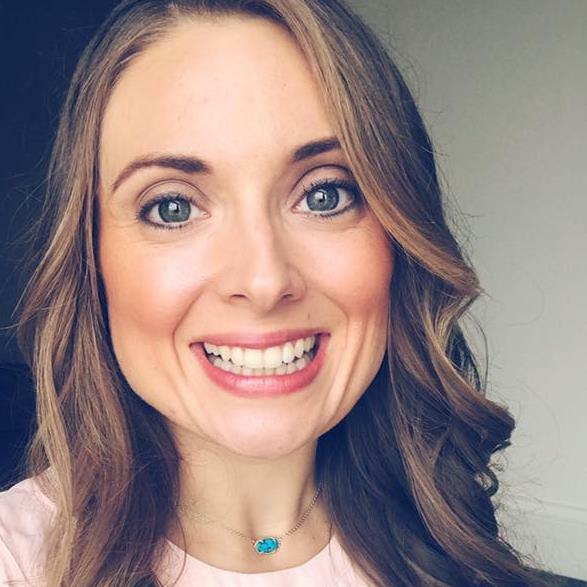 .-= Allison´s last blog ..Is This the End or the Beginning? (SAHM Series) =-. This looks absolutely delicious and I cannot wait to give it a try! .-= Kristine McGuire´s last blog ..A Fairly Small Church =-. this looks super duper delicious. Thanks for sharing. Will try it out very soon! .-= GaFlygirl´s last blog ..What’s for dinner? March 22,2010 =-. @Wendy Hagen, Where shall I send it to? 🙂 Thanks for your comment! @Myra, Meet me on the golden gate bridge. .-= Wendy Hagen´s last blog ..I Don’t Need an Interior Decorator =-. I’ve tried at least a half dozen different recipes for broccoli cheddar soup and haven’t like any of them. I’m so excited to try this one. It sounds just like what I’ve been looking for! .-= Jane´s last blog ..Tempt My Tummy Tuesday/ Chocolate Angel Food Cake =-. @Jane, Let me know what you think! I hope you’ll like this one!! Sounds yummy!!! Can’t wait to try it…thanks for sharing!!! 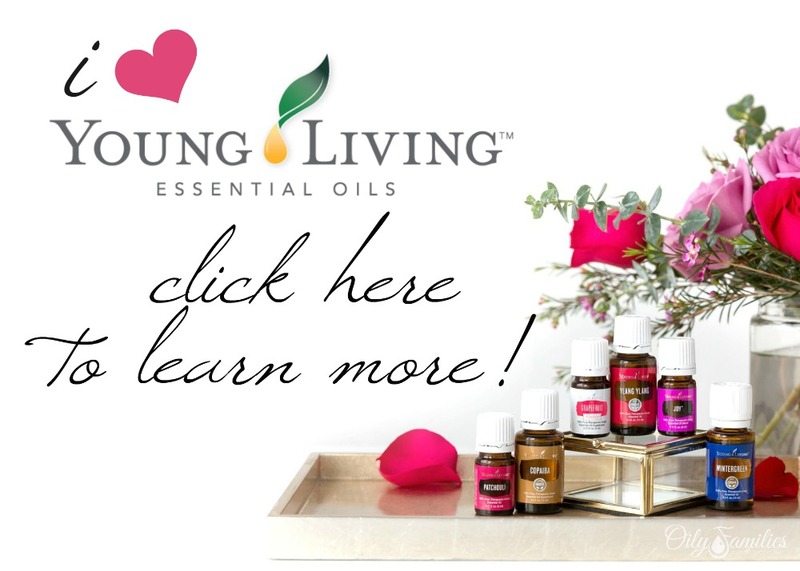 Brand new to your blog and looking forward to getting to see the rest of your site!!! @Kelly, Awww, thanks for your sweet comment!!! I’m so glad that you found my blog! My sister’s name is Kelly, so I’ll be able to remember you! 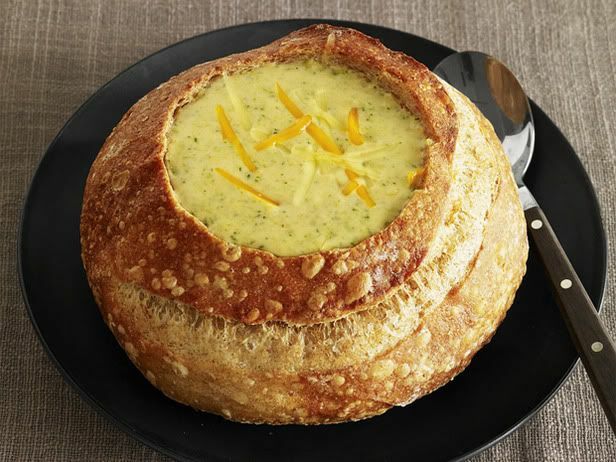 I love to make soup at home and then buy the bread bowls from Panera – makes for a cozy dinner! @Jessica @ Life as I See It, That is a fabulous idea – to buy bread bowls from Panera! Yum! Will definitely be trying that soon! Broccoli Cheddar Soup is my all time fave soup, evah. Stumbled this! .-= Phoebe @ GettingFreedom´s last blog ..Sweet and Sour Chicken =-. .-= Carla´s last blog ..treasure hunting! =-. that looks so delicious! I want some know! This looks delicious! Does this taste nice and cheesy? I’ve been searching for a great broccoli cheese soup and haven’t found one quite cheesy enough LOL! .-= Amy´s last undefined ..Response cached until Thu 25 @ 0:33 GMT (Refreshes in 23.99 Hours) =-. We LOVE broccoli soup around here! Do you make your own bread bowl? If so, I’d love if you’d share the recipe! .-= Lori @ Couponomic Stimulus Package´s last blog ..Routines Help Organization! =-. @Lori @ Couponomic Stimulus Package, Nope, I don’t make my own bread bowls. One commenter said that she makes her own soup and buys bread bowls from Panera. This looks incredibly delicious! I needed a good broccoli cheese soup that did not require Velveeta. .-= Jen @ Passport to Savings & Food´s last blog ..Bacon Potato Lentil Chowder =-. .-= Fields Of Heather´s last blog ..Works For Me Wednesday -Fail =-. Golly JEEZ! I’m drooling. I wonder if Panera offers this on Wednesdays…(checks website)…yep…well I know where I’m going for lunch today! I made this last night. It was oh, so yummy. I even used skim milk instead of the half and half! @tia bennett, Awww, yay! I’m so glad that you liked it! I’ve used 2% milk before, so it’s good know that skim works too! I just made this for dinner tonight. It was fabulous! Thanks again for the recipe. .-= Allison´s last blog ..Balloons – Give Me Your Best Shot =-. Howdy, i read your blog occasionally and i personal a comparable one and i had been just wondering if you get lots of spam comments? If so how do you avoid it, any plugin or anything you can advise? I get so much recently it’s driving me mad so any assistance is really much appreciated. I loved the soup recipe. Thank you!! Hi, loved the recipe! where do you find that type of bread? I made this for my 9 yr old son & 4 yr old quadruplets…they LOVED it!!! Pinned it to Pinterest to share the love…thanks for the recipe! do you think you can make this in the crockpot instead of on stovetop? I think you could at the “adding vegetables” step. Let it cook on low and then puree before serving. That probably would work! 🙂 Hope that helps! My husband and I made this yesterday using this recipe! We tried to follow the recipe exactly. It was very good, but the consistency was kind of grainy, even after the pureeing step. We thought maybe we heated the half and half too quickly? Is that the natural texture of the soup or did we mess up a step somewhere along the way? It was still great regardless! Thanks for sharing! It probably got to hot and broke. anytime you make a recipe using cheese, cream, or better do not let it come to a boil you can get it to a high summer but that’s it. If it gets too hot then the fats will seperate creating that grainy texture. sometimes you can fix that by making a little more rue and stiring it into your soup. Made this over the weekend and it turned out so yummy. Wish you could find the source, though. It’s the only thing that bugged me about the post. Trust me. It bugs me too. I wish I had known more about blogging when I wrote down the recipe on a scrap piece of paper and didn’t write down the source. Argh. Cheddar soup recipe looks yummy. You also took nice pictures.I also have a daycare and will try this recipe for lunch with my daycare babies. The broccoli cheddar looks so good i crave for it right now thank you for sharing the recipe. I made this for dinner tonight, tried it, and its AMAZING!!! I made this for my Mom and I for lunch a couple of weeks ago. I only had half of the half and half, and used 2% for the rest. It was delicious. Thank you for the recipe! Found you on pinterest. Made this soup for dinner tonight. My 7 and 9 yr old asked for seconds! So delicious. Need the bread bowl next time. – On the top of the recipe where it says 2T of butter, melted. What does the “T” stand for? and the little “t” for the nutmeg? – They don’t sell half and half in Brazil. What is a good substitute? – They don’t sell chicken broth too, can I make that myself? Hi Pam! Thanks for your comment! T = Tablespoon and t=teaspoon. You could just use milk instead of half and half and yes, you can use homemade chicken broth from cooking a whole chicken. 🙂 I hope that helps! I made this tonight and it is a keeper. My 2 1/2 year old son who won’t eat anything green ate almost all that I gave him 🙂 Thanks for the recipe! Hmmmm, you probably could make it ahead. You might want to use an immersion blender or whisk to get the consistency just right after freezing. If you try it, please let me know! Thank you! I have been craving broccoli cheddar soup and didn’t have a good recipe! This is my first time to “My Blessed Life” and I love the site. Hey Myra, I’m Nadya from Indonesia. I’ve been planning to make this recipe for me and my boyfriend anniversary next Saturday. But i’m a little bit scared because I’m not very good at cooking. I wanna ask you some question and please kindly answer it :D.
1. what is the hardest step that I should be worry of? 2. is it still fine if I use a chicken stock rather than a chicken broth? because I don’t really know how to make a chicken broth. 3. is it fine if I didn’t use a cheddar cheese but with another cheese? Hi I just found Panera’s broccoli soup about a year ago and I am addicted !!! Finding this recipe is awsome, it will make my winter a much happier one! But I am a stickler for details and I want to get this as close as possible. So can you tell me when you say butter – what kind? Are you using a stick butter or a tub? If you don’t mind, can you tell me the name you use? I’ve had a lot of recipes call for butter and I use margarine instead because of the flavor. I trust that butter is true for this one but I’d love to know what you have gotten the best results with. Thanks !!! I had something similar at a restaurant once, and have wanted to make it ever since! Yummm, thanks for sharing! You might be able to freeze it. My concern is that the consistency might be watery or weird after freezing. I made this tonight and it was SO YUMMY, i doubled my recipe to feed 6 adults and 3 children(and still had left overs!) i also added a 1/2 lb medium cheddar in addition to the sharp, instead of julienne-ing(?) the carrots i put baby carrots through my salad shooter (grater) and had them shredded which turned out amazing, and instead of pureeing the whole batch i pureed about half to leave some bigger broccoli pieces which my FIL said were brilliant 🙂 Thank you so much for the recipe! I am going to try to freeze the rest tonight and in a couple weeks i’ll let you know how it turned out. Hi, looks good! It sounds very similar to the Almost Famous Broccoli Cheddar soup that Foodnetwork.com has. Wow. I’m so sorry that it didn’t turn out for you. It’s always a hit at our house! I have tried this recipe a few weeks ago and the texture was grainy… What did I do wrong? I am not a experienced cook but I didn’t have a blender so I used a mixer… Was that my problem?? I want to make this tonight but I don’t want to screw it up again. I suspect that it was the mixer. It won’t get the texture as fine as possible like a blender will. Hi Myra! If you used pre-grated cheese from a bag, that could have been the problem as well since it is coated in a powder that prevents it from sticking together. This coating prevents the cheese from melting well and blending with other ingredients. I’ve found this out the hard way and did a bit of research! I love panera’s soup, so i was excited to try this recipe. Made it for my family this weekend, and my husband loved it. It was good, but I feel like there is something missing, a flavor I can’t quite put my finger on…its eating away at me! I think I figured it out. I didn’t get the recipe from this exact site, though it is exactly the same, I didn’t use sharp cheddar, i used mild. I must have missed that part in the recipe, would that make the difference? Spot on! My family and I are living in Spain and my daughters really miss Panera Bread’s Broccoli Cheddar Soup. I made this last night and they absolutely loved it! It was so delicious even before I added the cheese. Low temps and constant stirring are key here since milk tends to scald, but I was patient and the soup was a hit. Thank you! I’ve made this soup tons of times!! I love it!! I’m cooking it for 30 ppl this weekend, do you think doubling will be enough?? Absolutely not lol. If you account for the seconds that people will definately be asking for it won’t be enough. I say it can’t hurt to have more than you need rather than to run out. I’m confused on the nutmeg?! I made this last night, and all I could taste was the nutmeg…my husband too. IMHO it totally ruined the soup. I tasted it before I added the nutmeg and it was delish! Next time I’ll stop there! 😀 Otherwise it was fabulous, thanks for sharing! I made this tonight and it was good! I only had two cups of 1/2 and 1/2 so I used 2 cups of that and 2 cups rice milk. I also had to add some corn starch to make it thick enough. Also I chopped the veggies in my food processor before I added them to the soup because I don’t have an immersion blender and I figured it would be easier that way. I would not put nutmeg next time though, I only put a dash and it was still too much for my tastes. Made this tonight but halved the recipe because I just cooked for my roommate and I, still had left over. Forgot about the nutmeg, but it tasted great! Really…just like Panera’s. Pretty easy too. We made this last night. It was very yummy. We did not add nutmeg as we did not have any , used up the end of some half and half and we used an immersion blender. We did not have any problems with graininess or “fake taste” . Thanks for sharing. I absolutely LOVE broccoli and cheddar soup! Is the purée part crucial? Or can I leave it as it is?